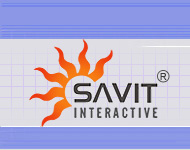 Let Savit Interactive unique combination of business expertise, technical know-how and years of experience in building solutions work to your advantage. Below is the list of our featured clients. R. M. Bhuther group of companies, specialist in the areas of massive outdoor exhibition structures, temporary Air conditioning, exhibit builders, stall interiors, Comprehensive Exhibition & Event management, modular furniture, marriage & theme décor, Property Development. Blooming Buds was started in the year 1999 with a beautiful dream to cater little buds in their early years of development. So that they can turn in to a well-develop children with good values, excellent education and a positive attitude towards life and society in which he would play a major role in future. J. S. Furniture founded by Jeevanlal P Jangid in 1987, the company started with a small contract for Interior Job for a bedroom of 150 sft. only. Within short span of three years, J. S. Furniture initiated a new effort to start a factory for manufacturing quality furniture. Specializing in occasional tables and wall systems with a small area of 500 square feet of space and 10 employees. Silkot silicones is incepted by group of chemical engineers in 1986 and are in manufacturing line of Aerosols, Speciality lubricant, Silicone products and Maintenance products. Catering to the needs of various industries like Plastic, Welding, Automobile, Rubber, Chemical, Textile, Engineering, Electronics, etc. Royal Medical Tours (Mumbai) Pvt .Ltd. Royal Medical Tours (Mumbai) Pvt .Ltd would like to introduce themselves as service providers in the health industry. They are specialized in the field of Medical Tourism”. 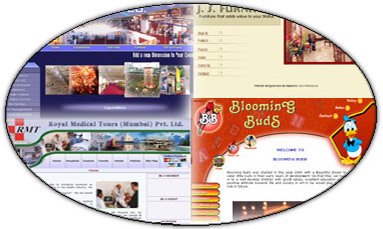 They are based at Mumbai – India. Realtors and Estate Managers in and Around Mumbai.